How are families of envelopes defined in the descriptive model managed? 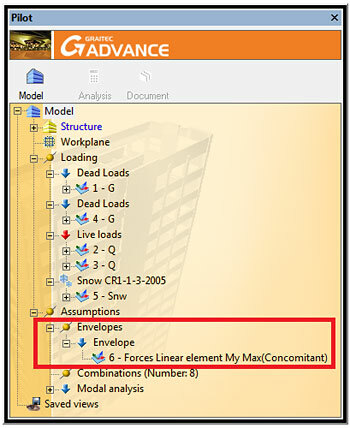 Advance Design allows displaying the envelopes of results (displacements, forces, stresses) directly in the analysis model, but other particular envelopes can also be defined directly in the descriptive model. 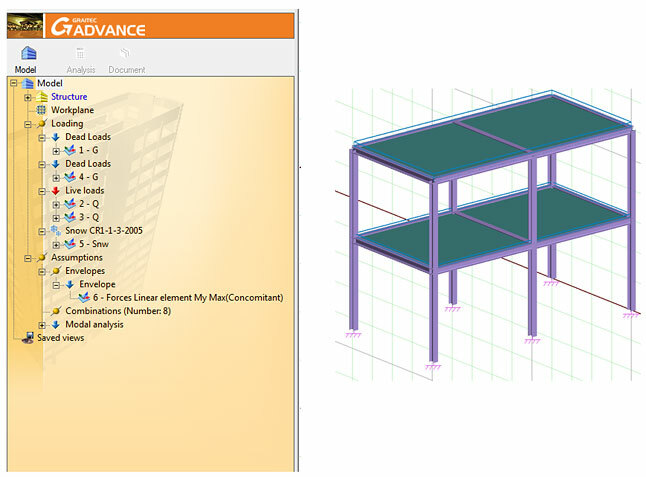 In this FAQ we will refer only to envelopes defined directly in the descriptive model. The usability of these envelopes is that for a particular type of maximum result (displacements, forces, stresses) obtained in a certain combination, we can obtain the other concomitant results corresponding to maximum result. These envelopes are interpreted as separate load cases. 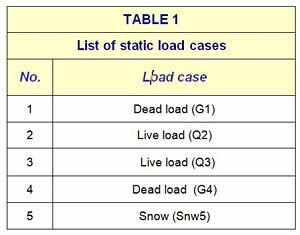 To illustrate how to work with envelopes of combinations, we will consider the steel structure in Figure 1, static load cases (Table 1) and their combinations (Table 2). We aim to achieve the maximum effort MY from the beams of the analyzed structure and the pair of forces (FX, FZ) which are calculated in the combination corresponding to the maximum bending moment (MY). To do this we will choose an envelope of "Concomitant max" type. Figure 2 presents the parameters chosen for these envelopes. Note: The family of envelopes can be created from the "Pilot" - Assumptions section (right-click on "Envelopes" and select "Create a family of envelopes"). 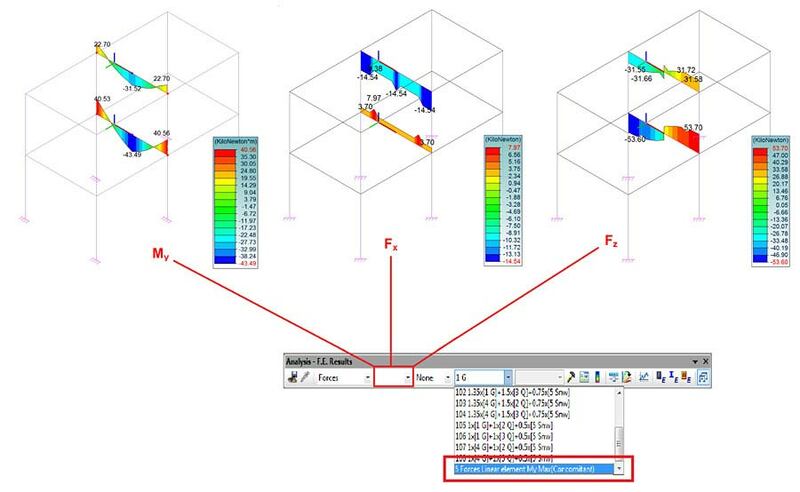 After computing the finite element analysis, the family of envelopes appears as an individual load case in the "Analysis - F.E. results" toolbar. Figure 4 presents the forces MY, FX and FZ for the envelope created in the descriptive model, in the most solicited beams.